“Black history IS American history.” True THAT. He’s got a point. 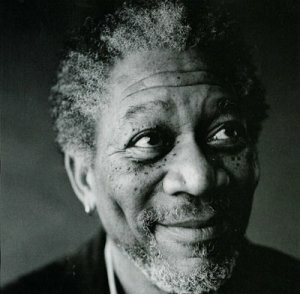 I understand the sentiment with Black History month, but Freeman’s right. It definitely has a condescending undertone, like “here’s your month, make it count because this is all you get” or something like that. We all share a common history on this land and in this nation, no matter when we immigrated or who we are. We should celebrate and honor ALL of our histories over ALL the months, the entire year, not just pick and choose when and who we learn about depending on the month. Liz: I truly don’t like you as a person. [inspirational music starts playing] Can’t one human being not like another human being? Can’t we all just not get along? Steven: Liz, I wish it could be like that… and maybe someday our children or our children’s children will hate each other like that, but it just doesn’t work that way today. Liz: So what you’re saying is that any woman that doesn’t like you is a racist. Steven: No, no, no, no, no. [music stops] Some women are gay.